This article originally appeared in Green Futures magazine. 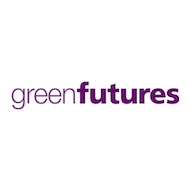 Green Futures is the leading international magazine on environmental solutions and sustainable futures, published by Forum for the Future. Its aim is to demonstrate how a sustainable future is both practical and desirable – and can be profitable, too. Can Audi End The Energy-Wasting Rush to Beat The Lights? Why Does the UK Ignore Waste-to-Energy Power? Bladeless Turbine: The Future of Wind Energy?